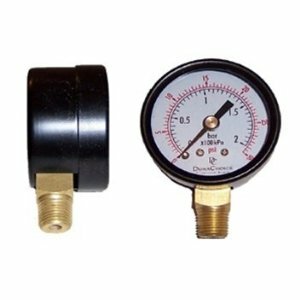 Designed to measure the pressure of gas or liquid. The pressure range of the gauge should be twice the normal system pressure to maximize life and accuracy. The gauge pictured may differ from the gauge you receive.